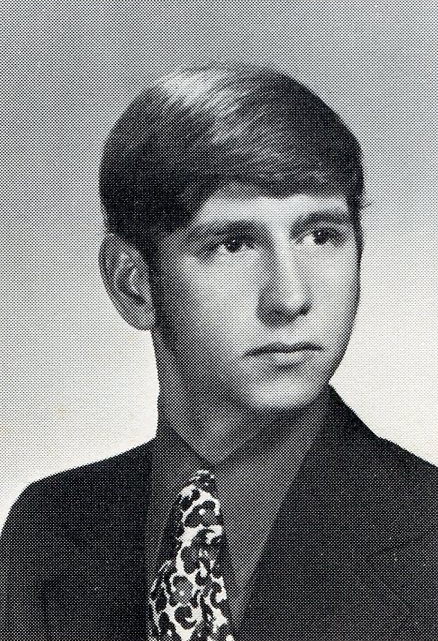 On this page, we remember and honor members of the Class of 1972 who have passed away. Two years behind us, they played an important role in enriching our experience, often as fellow members in extracurricular activities. 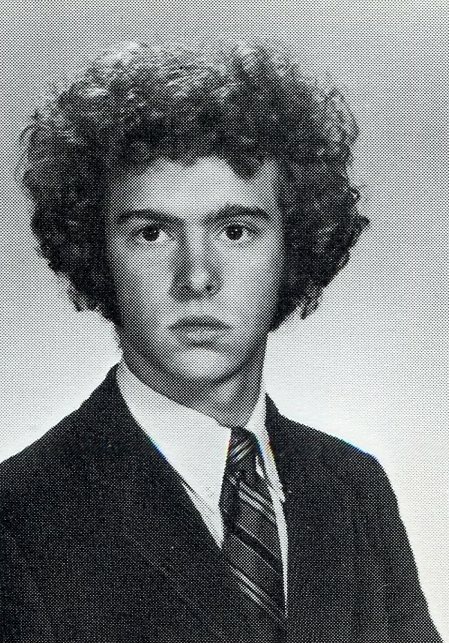 Rick during his junior year and later in life. Richard A. Arbour of Russell, MA passed away in the comfort of his own home Friday, Apr. 20, 2018, after a long but well-fought battle with cancer. Rick was a loving and loyal husband to Cindy, his wife of 39 years, and a proud and supporting father to his two sons, Alex and Chris. 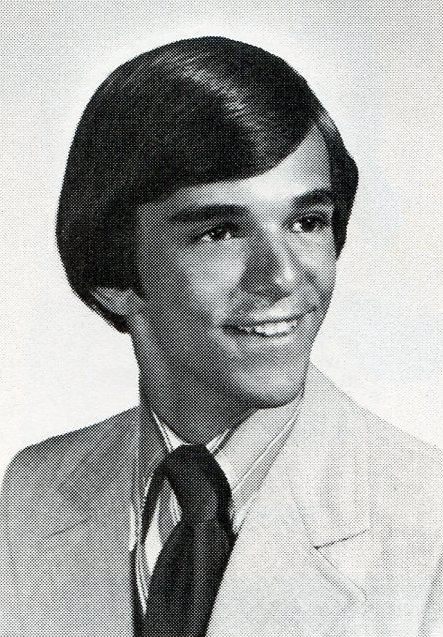 From a humble background, Rick grew up in a struggling family in East Longmeadow, and graduated from East Longmeadow High School in 1972. Proving to be capable, resourceful, and hardworking, he then built his way up from nothing, working full time while attending night classes, and eventually started and operated his own information technology business with his partner, Cheryl. After many years, he retired from operating his business and moved into a technical writer position, where he was able to enjoy more time for his hobbies. A man of endless talents, but to name a few, Rick possessed a mastery of photography that many believe is unsurpassed, wrote and published two books, and enjoyed singing/songwriting and playing guitar. An avid outdoorsman from a young age, he also loved all activities that brought him in touch with nature. He was a lover of animals, always had canine companions, and even found a few cats he liked. 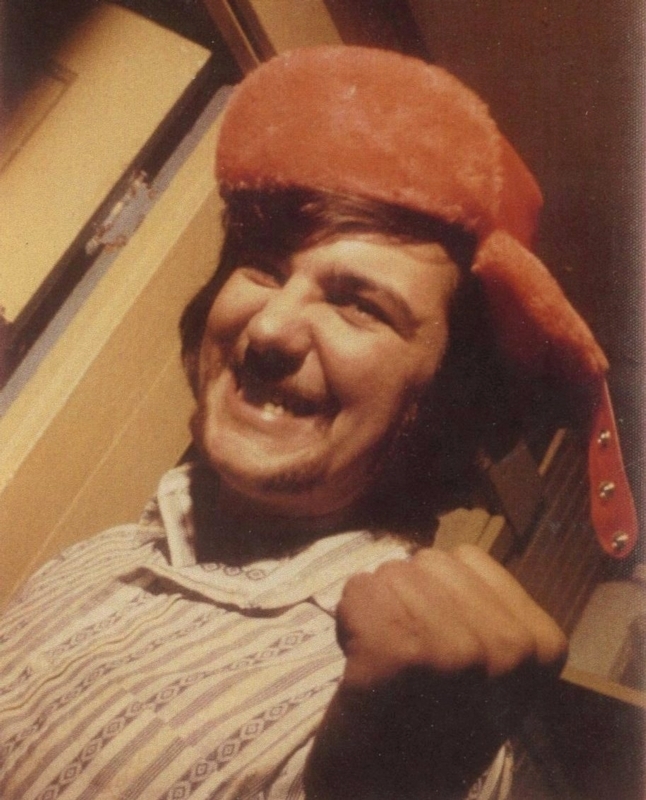 A highly intelligent man, Rick possessed a keen intellect, but never looked down on anyone, and had a unique but always present sense of humor. Always willing to help friends and family, he would optimistically lend a hand (unless it involved plumbing). Though he needed to vent every so often, like we all do, not once did he ever complain about the struggles or pain that accompanied life's great challenges, even in his final years. In those moments, he would grit his teeth and say, "Never let them see you sweat." Rick leaves behind his wife, Cindy; his two sons, Alex and Chris and their fiancées, Peggy and Lezette; his sister, Cindy Smaldone and her husband, Dan, and their children, Dan and Jessi; as well as many good friends. He will be sorely missed. In lieu of flowers, please consider a memorial donation in honor of Richard to the Corey J. Garwacki Foundation, PO Box 484, East Longmeadow, MA 01028 (www.cjgfoundation.com), or the Wingmaster's Raptor Rehabilitator, 34 Long Hill Rd., Leverett, MA 01054. (Excerpted from The Westfield News newspaper, Westfield, MA). Martha in 1972 (senior photo) and later in life. Martha A. Foster, of Westbrook, ME, passed away on Monday, Aug. 21, 2017. Marthat was a graduate of East Longmeadow High School in Massachusetts and Westbrook College. She worked as an office manager for several doctors in the Portland area. She had a brief career in real estate. Martha lived in Windham, Maine for 25 years before moving to Westbrook. She loved skiing, sewing, lobster rolls, the beach, jewelry, shopping, and always looking fabulous. She attended New Life Church in Biddeford the past few years. She was predeceased by her sister, Nancy Hazen. She is survived by her sister, Jane Jakobek; son, William B. Foster of Portland; daughter, Kate A. Earley of Old Orchard Beach; and granddaughter, Sophie Earley. She leaves behind her longtime companion, Dan Bission. In lieu of flowers, please donate to The Barbara Bush Children's Foundation, 22 Bramhall St., Portland, ME 04011. (Excerpted from the Portland Herald Press newspaper, Portland, ME). Deborah Ann (Venne) Tate, 62, of Wilmington, NC, died Sunday, Mar. 26, 2017 at home. (Excerpted from the Wilmington Star-News newspaper, Wilmington, NC). Robert L. Ayers, 61, formerly of East Longmeadow, died on Saturday, Oct. 8, 2016 at his residence in Granby, CT. He was born in Springfield, a son of the late Donald and Ruth (Bolewine) Ayers and was a graduate of the East Longmeadow High School class of 1972. Bob was employed for many years as the co-owner and operator, with his late father, Donald of Ayers Machine Co. in Wilbraham. He was an avid sports enthusiast who enjoyed playing and coaching hockey games, umpiring youth baseball games, golfing, and fishing. Bob will also be remembered as a gourmet chef. He leaves his brother, Richard Ayers and his wife, Nancy of Hampden; a niece, Kimberly Ayers and her husband, Jon Amon, and their daughter, Evie; and two nephews, Michael and David Ayers. Bob's remains are interred in Hillcrest Park Cemetery, Springfield, MA. 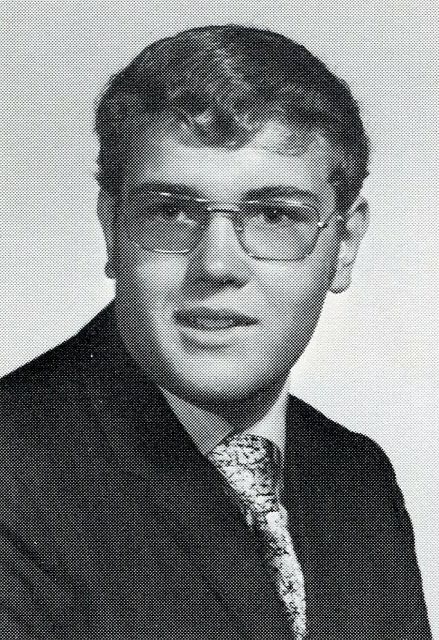 Thomas in 1972 (senior photo) and later in life. Thomas Allen Labadorf, 62, of Columbia, CT, died unexpectedly on Thursday, Jun. 13, 2016 during a family vacation in Tennessee. Thomas was the beloved husband of Kathleen Labadorf for nearly 40 years and devoted father to his son, Adam, of Cambridge, MA, and daughter, Margaret Valdés and her husband, Francisco of Worcester, MA. A professor of clarinet at Central Connecticut State University and an adjunct associate professor of music at Connecticut College, Thomas was much respected and beloved by colleagues and students at both institutions. Thomas was a gifted musician. 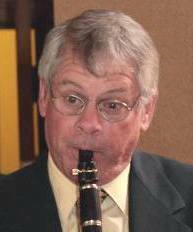 He had performed as principal clarinetist with the New Haven, Waterbury, and New Britain Symphonies, was a founding member of the Harmonia V Woodwind Quintet, and since 1980, performed in the Hop River Chamber Music Series in Andover, CT. He performed and premiered works by many fine Connecticut composers including Arthur Krieger, Brian Kershner, Ezra Laderman, Charles Menoche, and Thomas Shuttenhelm. A Chief with the United States Coast Guard, Tom served as a member of the United States Coast Guard Band since 1982, retiring after 24 years. Thomas earned his undergraduate degree from the Eastman School of Music at the University of Rochester, and his master of music performance in orchestral conducting and doctorate in musical arts from the University of Connecticut. 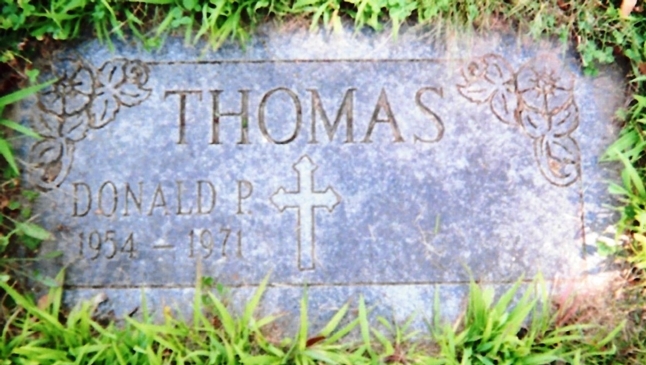 Born in West Palm Beach, FL, Thomas was the son of the late Robert P. and Marjorie E. Labadorf. He had lived in Columbia for 38 years. In addition to Kathy, Adam, and Margaret, he is survived by his four brothers, Harry, Peter, Steve, and Paul, and their families; sister-in-law Christine Czajkowski of Windham, CT, and brother-in-law Peter Czajkowski of Ludlow, MA. In lieu of flowers, donations may be made to either the Connecticut College Music Department, c/o Office of College Advancement, 270 Mohegan Ave., New London, CT 06320; or to Hop River Chamber Music, Barbara Vaughan, Treasurer, 772 Warrenville Rd., Mansfield Center, CT 06250. Lynn Barbara (O'Hearn) Everhart, 61, of Wooster, OH, died Tuesday, Jan. 12, 2016 at the Cleveland Clinic, Cleveland, OH. Lynn was born Mar. 3, 1954, in East Longmeadow, MA to Francis and Barbara (Collwell) O'Hearn, and went to school at AIC and Springfield College, where she graduated with a master's degree in psychology. She married Ronald Everhart on Valentine's Day in 1984. Lynn was a teacher at Ida Sue School for more than 20 years, and attended New Pointe Church in Wooster. 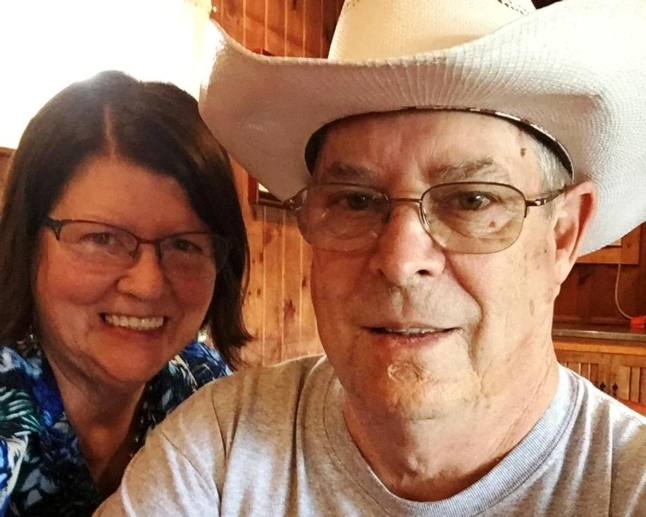 Lynn will be deeply missed by her husband, Ronald of 31 years; a daughter, Stacey Everhart of Wooster; a granddaughter, Serafina Lynn; brothers, Jim (Lynne) O'Hearn of Connecticut, Brian O'Hearn and Steve (Joanne) O'Hearn, both of Ormond Beach, FL; and a sister, Ann (Paul) Van Brocklin of Ormond Beach, FL. She was preceded in death by her parents. We will remember her most for her love of family, friends, animals, and her sense of humor. Memorial contributions may be made to Ida Sue School, 266 Oldman Rd., Wooster, OH 44691. (Excerpted from The Daily Record newspaper, Wooster, OH). 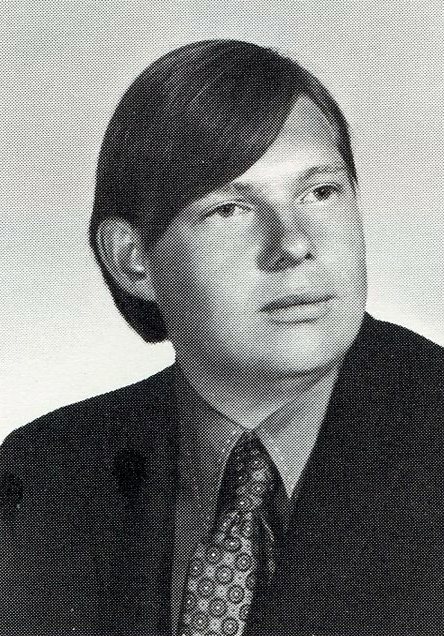 Richard in 1972 (senior photo) and later in life. 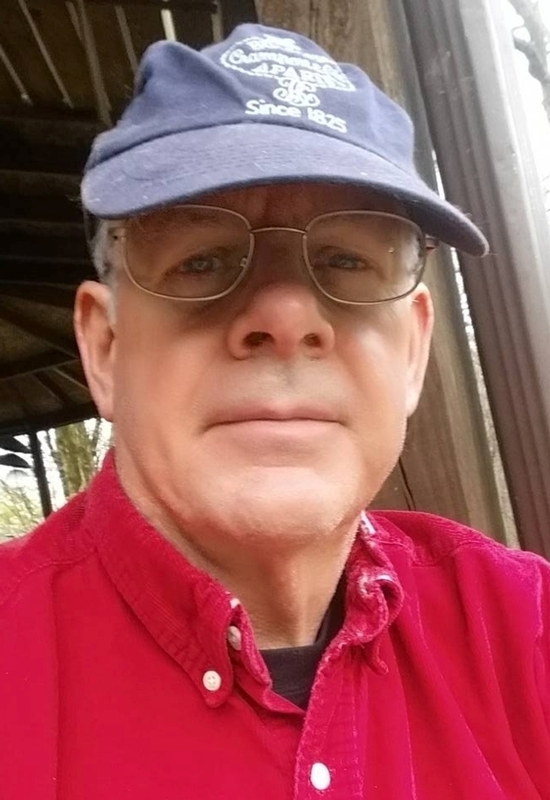 Richard L. Hiller III, of Warrington, PA, best friend of Harry Derderian, passed away on Thursday, Oct. 1, 2015. He was the son of Richard J. Hiller, Jr. and Phyllis Hiller. Richard owned and operated his own dog grooming business in Pennsylvania for many years. He showed and bred Scottish terriers. His love and care for animals was enormous, and his constant care for elderly people was ongoing. He was an accomplished baker and chef, and an avid antique collector; he had an eye like no other. He also leaves behind his mother, Phyllis Hiller of East Longmeadow; his two brothers, Mark Hiller and his wife, Lois of Palmer, and Karl Hiller of Springfield; his aunt, Marion Hiller; nieces and nephews; and Cody Hiller. 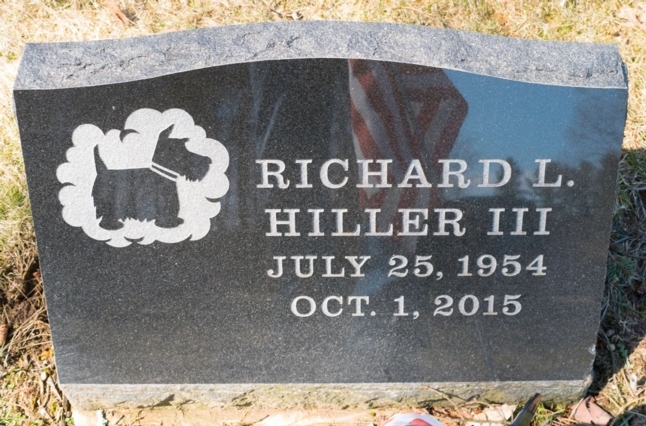 He was predeceased by his father, Richard Hiller, Jr. in 2014. 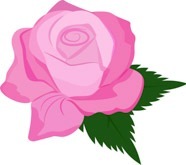 In lieu of flowers, memorial donations may be made to STCA HTF (Scottish Terrier Club of America; Health Trust Fund) Attn: Lisa Kinchelle, 19250 Reavis Way, Prunedale, CA 93907. Richard's headstone in Baptist Village Cemetery, East Longmeadow, MA. 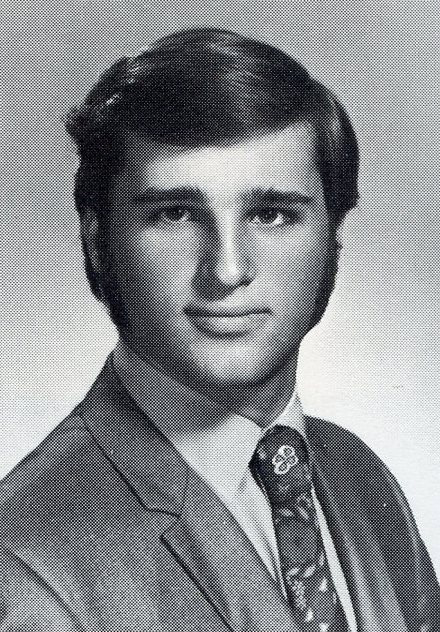 Marc in 1972 (senior photo) and later in life. Marc E. Mercier, 60, passed away on Wednesday, July 29, 2015 at Wingate in East Longmeadow. He was born on Sep. 7, 1954 to the late Edward and Shirley (LeBlond) Mercier. He was a store manager in several area grocery stores, including the family-owned B & B Market in East Longmeadow. He returned to school for medical billing and was employed by Child and Family Services in Springfield. Predeceased by his parents; sister, Jeri Ellen; and mother-in-law, Merle Safford, he leaves his loving wife of 40 years, Melanie (Safford) Mercier of East Longmeadow; adoring daughters Richelle Mercier and her fiancé, Dean Safford of East Longmeadow; sisters-in-law Ronna Kowan and her husband, Chester of Port Orchard, WA and Deanna Wilson and her husband, Steve of Cottonwood, AZ; and cousins and nephews David and Eric Walker, and David, Dana, and Matthew Bean. 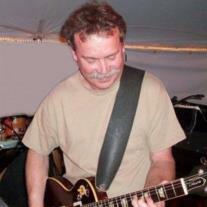 Marc was a kind and gentle soul with a great passion for music. For those who wish, memorial contributions may be made to the Norcross House, PO Box 532, East Longmeadow, MA 01028. George Michael McGrath, 60, passed away unexpectedly on Wednesday, Jun. 17, 2015, at his home in Chelsea, MA. He was born in Springfield, MA on Nov. 21, 1954, son of the late George A. and Winifred F. (Leonard) McGrath. 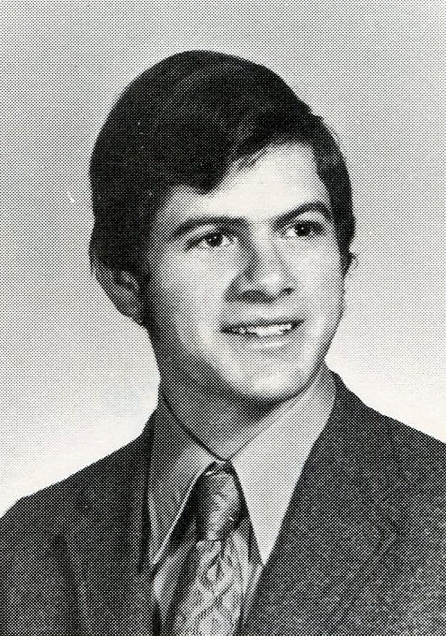 He was a 1972 graduate of East Longmeadow High School, and attended UMass Amherst and Bunker Hill Community College. George was most recently employed as a sales representative for Enterprise Rent-A-Car. He leaves two loving sisters, Christine (Kenneth) Page of Victor, NY and Gail McGrath of Springfield, MA. Contributions in George's memory may be directed to the American Cancer Society. 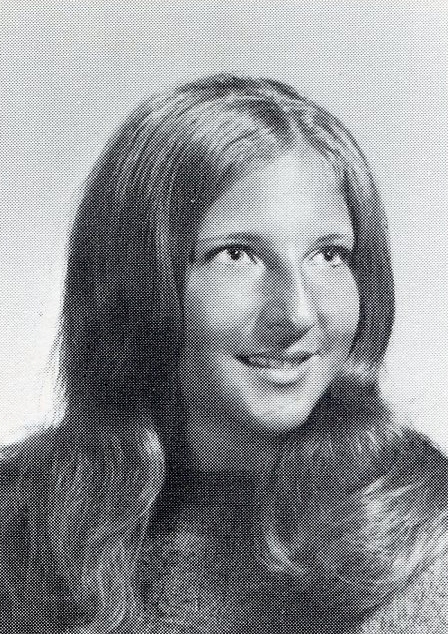 Fran in 1972 (senior photo) and later in life. Francis P. Kulle, 60, recognized as a leader in Maine's commercial fish processing industry, died suddenly Saturday, Jan. 31, 2015, at Pen Bay Medical Center in Rockport, ME. Born in Springfield, MA, Jul. 28, 1954, he was the son of William T., Sr., and Lillian J. (Bauer) Kulle. 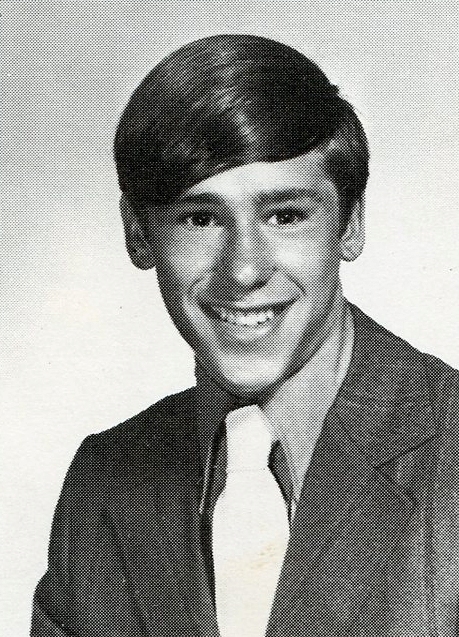 Growing up in East Longmeadow, he attended local schools and was a 1972 graduate of East Longmeadow High School. While working on a political campaign in Massachusetts, Fran met his future wife, Joan Huber. After the campaign, they moved to Joan's hometown of Rockland, ME and Fran from that day forward made Rockland and Maine his home as well. They were married in Rockland, Oct. 25, 1980. Fran began his career in the seafood processing industry with Lipman Brothers in Portland, and rapidly moved into the position of production manager. In 1980, he became production manager with ZAPATA Corporation's Clyde seafoods division, and was soon promoted to operational manager of Port Clyde Foods. From 1987 through 1999, he purchased, reorganized, and transformed sardine plants in Stonington and Lubec. Fran formed Stonington Canning Co. and Lubec Packing Co., growing both those companies to employ more packers and operate longer seasons than had been previously accomplished. Most recently, he started a lobster bait business, The Bait Shack, on the Rockland fish pier, with two of his friends. He was an active member and past chairman of both the Maine Sardine Council and Marine Resources Advisory Council. In all his business ventures, Fran was always willing to help people, sharing with them his knowledge and advice. He assisted many people in start-up businesses and held a special places in his heart for veterans, whom he would employ. Fran was a passionate man. He loved God, his country, his friends, and family. He thought the world of his wife and daughter, and they of him. He loved entertaining his friends and family in his home. An accomplished cook, he would often banter to assembled guests to, "Stay out of my kitchen!" Fran was a collector of antiques, sports cards, and as a youngster, stamps. An avid New York Yankees fan, he also enjoyed golf, politics, the blues, and was a supporter of the annual Rockland Blues Festival. He was a walking encylopedia and could debate both sides of an issue. Predeceased by his father, Fran is survived by his beloved wife, Joan of West Rockport; his mother, Lillian J. Strempek and her husband, Bill "Poppy"; his daughter, Lauren Tyler Kulle and her companion, Scott Bennett of Sarasota, FL; two brothers, William T. Kulle III and his wife, Norma of Springfield, and Aron Kulle and his wife, Kathleen of Sarasota, FL; a sister, Theresa Bolte of Tilton, NH; and many nieces and nephews, great-nieces and nephews, as well as sisters and brothers-in-law. In lieu of flowers, memorial donations may be made to the Wounded Heroes of Maine, PO Box 1797, Saco, ME 04072. 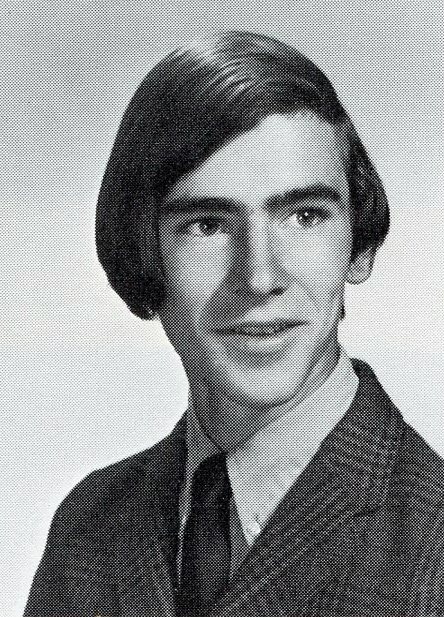 Steven in 1972 (senior photo) and later in life. Steven Irving Racicot, 60, beloved husband, father, son, brother, and friend, passed away unexpectedly on Saturday, Nov. 29, 2014. He was born on Jan. 3, 1954 in Oak Park, Il, and raised in East Longmeadow, the son of Barbara (Murphy) Racicot and the late Dr. Raymond Racicot. 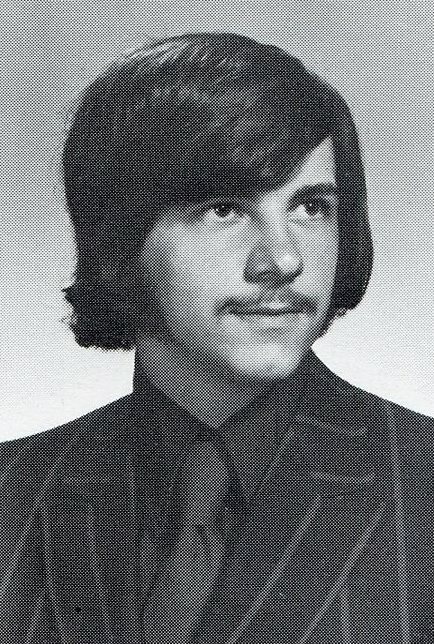 He graduated from East Longmeadow High School in the class of 1972. Steven achieved his airplane pilot license at the age of 17. He then went on to further his education at Bryant and Stratton College in aviation and business, and graduated from Western New England University, where he earned his bachelor's degree in business administration. Steven served honorably in the U.S. Army, U.S. Army Reserves, and National Guard for over 20 years, achieving the rank of Chief Warrant Officer 4. He loved flying and was a skilled pilot of both helicopters and fixed-wing aircraft, as well as an instructor pilot. He was a Federal Aviation Administration inspector at Bradley International Airport. Since 1968, Steve was an integral part of the local music scene, and was an accomplished guitar player and lover of live music. He spent many happy years playing music with his dear brother, Paul and many talented friends. Though Steve had many accomplishments, everyone who knew him will remember that his greatest gift was the gift he gave of himself to others. He was unfailingly generous and kind, always saw the best in others, and was a loyal friend and family man. His was a life of service, compassion, and love to everyone he encountered, and he had a wonderful sense of humor. In addition to his mother, Steven is survived by his beloved wife, Mary Ellen (Haley) Racicot of Longmeadow; his son, Eric Racicot of Holyoke; his two daughters, Nicole Racicot of Monpelier, VT, and Marcy Racicot of East Longmeadow; his brother, Paul Racicot and his wife, Sue of Springfield; and his sister, Celeste Racicot of Agoura, CA. Memorial contribution checks may be made to Springfield School Volunteers, 1550 Main St., 3rd Floor, Springfield, MA 01103. Please note in memo SciTech Band to support youth music programs. Steve's remains are interred in Billings Hill Cemetery, East Longmeadow, MA. Steven A. Wescott, 62, ascended into the Journey of Everlasting Life on Wednesday, Aug. 13, 2014. He is now reunited with his mom and dad, Barbara A. (Stone) Wescott and George W. Wescott. Steven was born in Springfield, but was a lifelong resident of East Longmeadow. He was a graduate of East Longmeadow High School. Steven spent many years at American Bosch as a machinist until the company's closing. More recently, he enjoyed being a crossing guard for small children in the Center of East Longmeadow. He was a very enthusiastic outdoor sportsman and spent his time with activities such as hunting and fishing. Steven was very interested in wood carving and flint knapping, and expressed a keen interest in Native American history. He leaves to forever cheish his memory a sister, Cathy Flynn and her husband, Thomas; and a niece, Keriann Flynn, all of East Longmeadow. 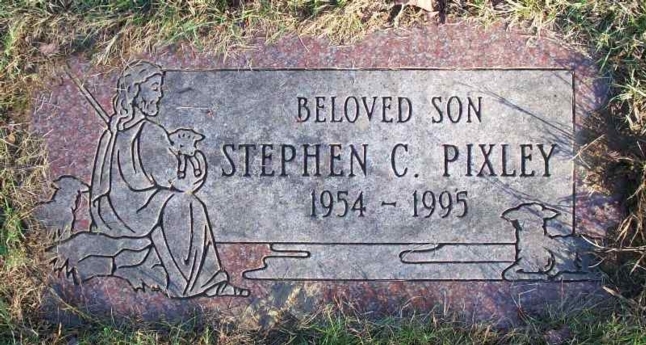 Steve's headstone in Greenlawn Cemetery, East Longmeadow, MA. 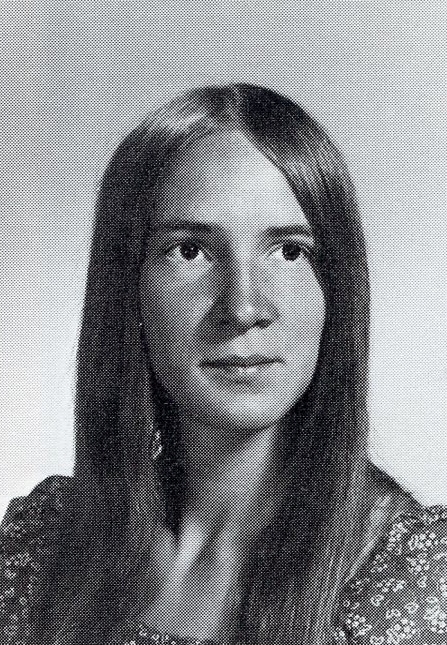 Ann in 1972 (senior photo) and later in life. Carol "Ann" (Fishkin) Murphy of East Longmeadow, passed away Tuesday, Dec. 24, 2013, after complications from a long illness. Ann was born Aug. 19, 1954 and spent many years in Cape Cod with her family, where she received her degree at Cape Cod Community College as an RN. She worked many years as a charge nurse in regional nursing homes. She was predeceased by her mother, Carol Fishkin, who passed away in 2010. She leaves her father, Charles Fishkin of East Longmeadow; her daughter, Katrina Castro; son-in-law Tony Castro; grandson Antonio Castro of Glastonbury; and son, Ryan Murphy of London, England. Ann also leaves her sister, Susan Fishkin-O'Brien of Indian Orchard. She will be also be sadly missed by her cousins, nieces, nephews, and close friends. Carol's remains are interred in St. Mark's Memorial Garden, on the grounds of St. Mark's Episcopal Church, East Longmeadow, MA. 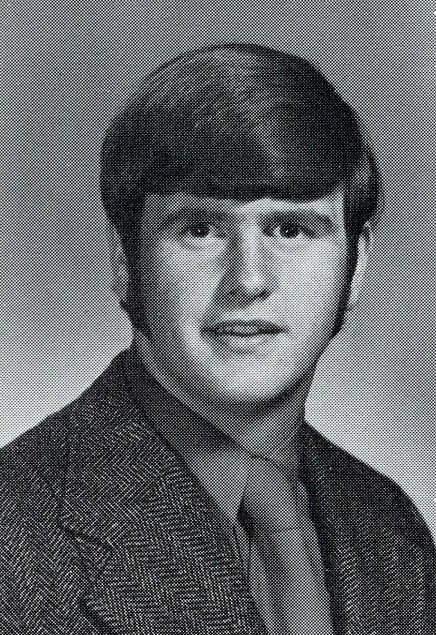 Kevin in 1972 (senior photo) and later in life. Kevin G. "The Gentle Giant" Keilty, 58, of Longview Drive, Florence, MA, passed peacefully away on Saturday, Jan. 19, 2013, with his family at his side, after a 10 year battle with pulmonary and cardiac disease. Kevin was born in Waterbury, CT, and grew up in East Longmeadow. He attended schools in East Longmeadow and was a graduate of East Longmeadow High School. He played baseball and football in high school. Kevin also attended Northeastern University in Boston. He was the president and owner of Preferred Security Systems in Easthampton and Florence for many years. He also worked for Brown Security Systems of New York. In his later years, he was a heavy equipment operator until his illness prevented him from working. Kevin loved his family and supported his childrens' many endeavors. He was a member and coach of Northampton Little League, and also coached with the Northampton Youth Football League when his sons played. His daughters enjoyed their time with their dad during their years with the Lassie League and softball teams he helped coach. He was predeceased by his parents, James R. and Mary H. (Booth) Keilty, and a brother, James B. Keilty. He leaves his wife of 26 years, Estelle (Reynolds) Keilty of Florence; his children, Lenae Pease and her husband, Kris; and his granddaughter, Ryleigh Pease, all of Goshen; Ryan Keilty, Meagan Keilty, and Michael Keilty, all of Florence; his sisters, Pam Ferris and her husband, Jerry of Chicopee; Sandra M. Leduc and Karen G. Moore of Hampden; and several nieces, nephews, and many cousins. Donations in Kevin's memory to assist the family may be made to the Keilty Family, 21 Longview Dr., Florence MA 01062. 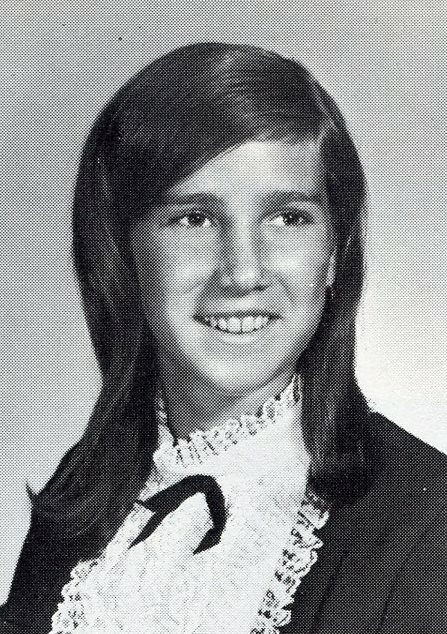 Cynthia in 1972 (senior photo) and with her husband, Scott later in life. 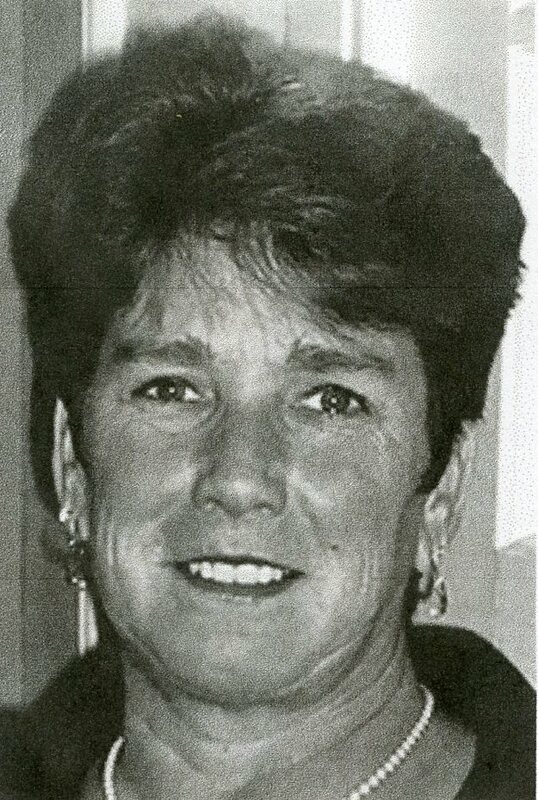 Cynthia S. Adams, 56, of Stanley Road, Winthrop, ME, died Saturday, Aug. 4, 2010 at Maine General Medical Center, Augusta. She was born in Springfield, MA on May 16, 1954, the daughter of Arthur and Ruth (Miller) Plass. 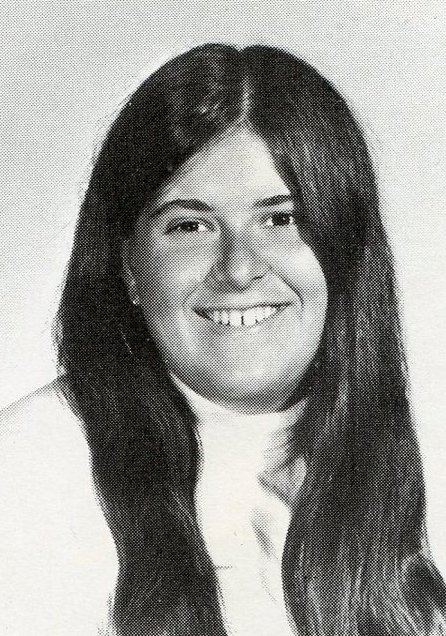 Cynthia graduated from East Longmeadow High School. She had worked at Home Vision Video for 17 years and was office manager at Therapy Corner. She later worked at Crisis and Counseling in Augusta, and Manchester Osteopathic Healthcare. 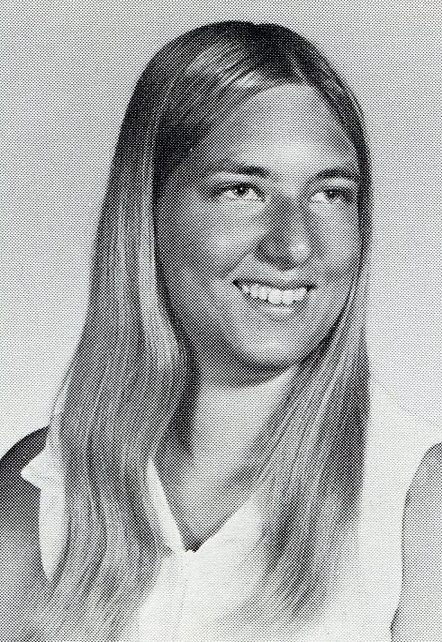 She married Scott Adams on Aug. 22, 1977 in East Longmeadow. She was predeceased by her parents. Cynthia is survived by her husband of 33 years, Scott Adams of Winthrop; two sons, Michael Adams of Staffordville, CT, and Stephen Adams of Columbia, CT; a sister, Tracy C. Plass of East Longmeadow; several nieces, nephews, cousins, and an uncle. Also her cats Gizmo, Casey, and Ziggy. In lieu of flowers, memorial contributions may be made to PALS Animal Shelter, 188 Case Road, Winthrop, ME 04364. Cynthia's remains are interred in Saint Mark's Memorial Garden, on the grounds of St. Mark's Episcopal Church, East Longmeadow, MA. Richard F. Torrey, Jr., of McDonough, GA, 53, a retired tractor trailer driver for Consolidated Freightways, passed away Wednesday, Aug. 8, 2007 in Loveland, CO.
Born in Springfield to Richard and Barbara (Vantine) Torrey, he served his country in the Vietnam War. He graduated from East Longmeadow High School. Besides his parents, he leaves his sister, Cynthia Bedard of West Springfield; his brother, Bruce of East Longmeadow; his wife, Diane of McDonough, GA; three daughters; and six grandchildren. Donations in Richard's memory may be made to Salem Baptist Church, McDonough, GA 30251. 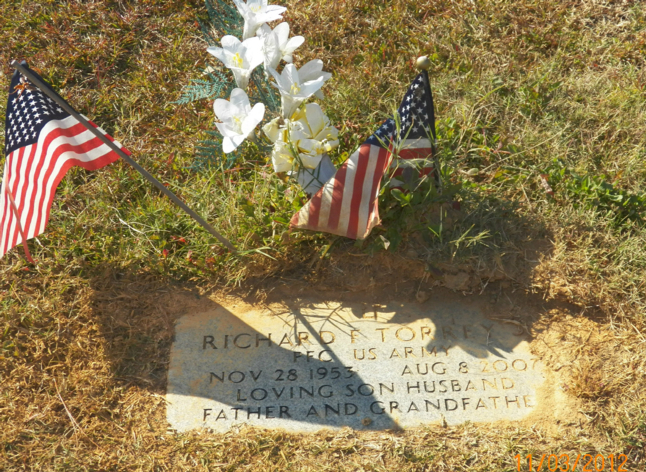 Richard's headstone in Salem Baptist Church Cemetery, McDonough, GA. In the second row, PFC signifies his rank of Private First Class in the United States Army. 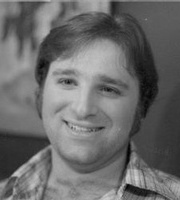 Fred in 1972 (senior photo) and later in life. Fred Forbes, 51, a longtime resident of East Longmeadow, passed away Tuesday, Jul. 5, 2005, surrounded by his loving family. Fred was born Sep. 6, 1953 in Stafford Springs, CT to the late Frederick and Catherine (Cain) Forbes, and was a 1972 graduate of East Longmeadow High School, and later, Springfield Technical Community College, earning his Associates degree in biotechnology. He was the owner and operator of the second generation family business, Forbes Garden Mart in East Longmeadow, which started in 1926. Fred was a very giving man, and always donated plants and his time whenever someone was in need for a fundraiser or community event. He was an avid collector of HO scale trains, and enjoyed traveling (especially to St. Thomas), tropical fishing, farming, and spending time with his family, especially his grandson, Kyle. Mr. Forbes enjoyed working the land with his hands, and assisting with the creation of the July 4th parade float each year. Fred leaves his beloved wife of 11 years, Nina (Manfredi) Forbes. He also leaves his cherished daughter, Connie Pelletier of East Longmeadow; his stepson, Norman Pelletier of Great Barrington; his loving brother, Bruce Forbes of Springfield; and his devoted grandchildren, Coty Pelletier and Kyle Jacobs. Donations may be made in memory of Mr. Forbes to the Fred Forbes Scholarship Fund, c/o Peoples Bank, 201 N. Main St., East Longmeadow, MA. 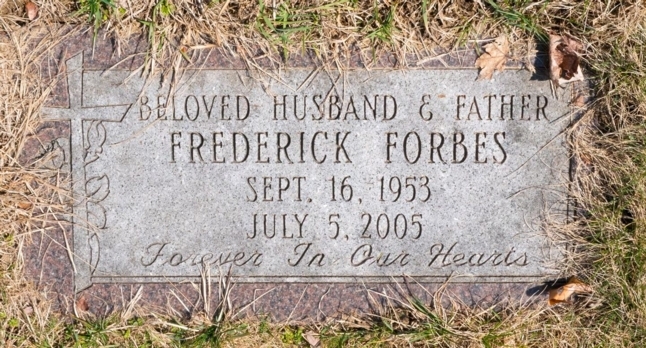 Fred's headstone in Baptist Village Cemetery, East Longmeadow, MA. 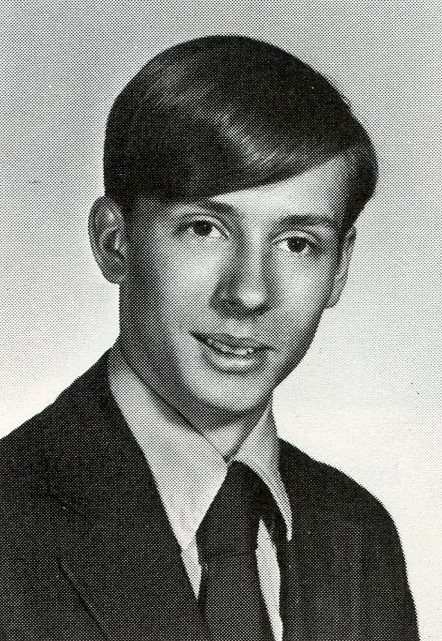 William in 1972 (senior photo) and later in life. William F. Campanella, 48, passed away unexpectedly at his home in Agawam on Saturday, Apr. 26, 2003. Bill was the beloved son of Frances W. and Theresa (Martel) Campanella of Agawam. Bill went on to receive a Bachelor of Science degree from Bridgewater State College, where he received the Outstanding Leadership and Academic Achievement Award, and more importantly, where he met the love of his life, his wife of nearly 26 years, Barbara (Giard) Campanella. He furthered his education with a Master's of Education degree from Springfield College in 1990. He was a member of the national Association of College Admissions Counseling, New England Association of College Admissions Counseling, the Illinois and Missouri Associations of College Admissions Counseling, American College Personnel Association, and the American Association of Counseling and Development. Bill was a cantor and choir member of the Sacred Heart Church of Feeding Hills for 17 years. He was a devoted volunteer to the Spirit of Springfield and its many activities. His varied career background included Associate Director of Alumni Relations, Associate Director of Admissions, and Downtown Campus Administrative Director for Western New England College. Bill also served as Dean of Enrollment Services at Bay Path College, and worked at the Bakos Group and Brightside for Families and Children. Bill leaves behind his wife and best friend, Barbara; daughter, Joyce; son, Rob; and loving dogs Angel and Buddy. He is survived by his parents, Frances and Theresa Campanella, and brother, Michael Campanella of Clearwater, Fl. The morning after her father's passing, his daughter wrote, "His love shined through many people, yet nothing compares to the strength of his love for his children. Never could anyone ask for a more loving, caring, or generous father. When laid to rest, he will be bringing his childrens' heart and soul with him." Memorial contributions may be made to the William F. Campanella Memorial Scholarship Fund, c/o Office of Development, Western New England College, 1215 Wilbraham Rd., Springfield, MA 01119. Bill's remains are interred in Springfield Street Cemetery, Agawam, MA. Kenneth during his sophomore year. Kenneth B. Williams, 49, of Rachel St., Springfield, died Monday, Mar. 17, 2003 at home. He was born in Northfield, MA and lived most of his life in East Longmeadow and Keene, NH. Ken was a dedicated and terrific teacher at Lincoln School in Springfield. He was a sports enthusiast and an active golfer. He lettered in football, basketball, and track and field while attending Monadnock High School in Keene, NH. Ken was a bass player in the Sean Forrest Band. 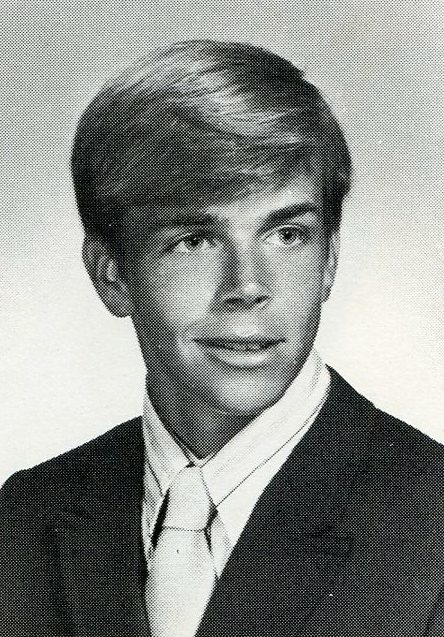 He was the beloved son of the late Richard Williams and Elaine (Grant) Forrest; and step-son of Bill Forrest of East Longmeadow; loving brother of Sean Forrest of Columbia, CT, Michael and Larry Forest, both of Hampen, Wendy Williams of South Hampton, David Forrest of The Colony, TX, Steve Forrest of Greenfield, Tom Forrest of Blaine, MN, and Bill Forrest of Northfield. He was an uncle that was adored and cherished by his nine nephews and nine nieces. Memorial donations may be made to the American Heart Association or to UNICO, PO Box 306, Agawam, MA 01001. Note: Kenneth was in the class through his sophomore year, before moving to New Hampshire. Kenneth's headstone in Mountain View Cemetery, Swanzey, NH. Michael E. Shubert, 44, of Old Chester Rd., Huntington, MA, died Saturday, Jul. 17, 1999 at Baystate Medical Center in Springfield. He was a mechanical supervisor for Solutia (formerly Monsanto Corp.) in the Indian Orchard section of Springfield for 21 years. Born in Ludlow, he lived in East Longmeadow most of his life, and in Agawam, before moving here 12 years ago. He was a graduate of East Longmeadow High School and the Univeresity of Hartford. He was the town's assistant fire chief and water commissioner, and was an emergency medical technician. He leaves his wife, the former Laura "Jean" Serra; two daughters, Kristen Shubert and Wendy Shubert, both of Huntington; his mother, Marion (Drews) Shubert of East Longmeadow; and a sister, Elizabeth Ross of East Longmeadow. Memorial contributions may be made to the Huntington Fire Department, 8 Russell Rd., Huntington, MA 01050. James during his sophomore year. James Boudrias was in the class through his junior year. He passed away on Monday, Apr. 14, 1997. Our only source of information on his passing is the Social Security Death Index. At this time, we have no further details regarding his life. Susan (Langevin) Carabetta Brassard, 44, of 17 Gerrard Ave., East Longmeadow, died Thursday Jun. 19, 1997 in a local nursing home. Born in Springfield, she lived here most of her life. 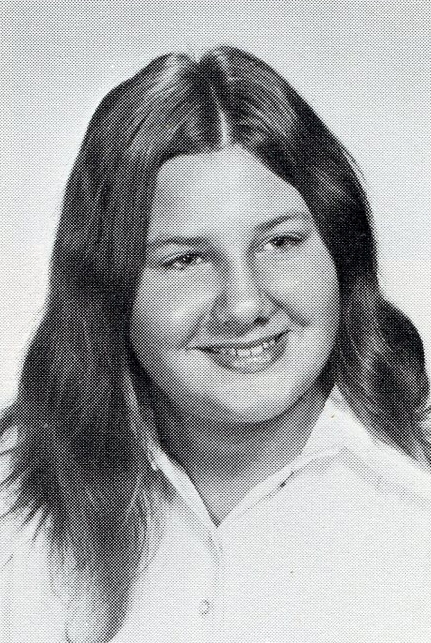 She was graduated from the high school in 1971 and was a communicant of St. Michael's Church. 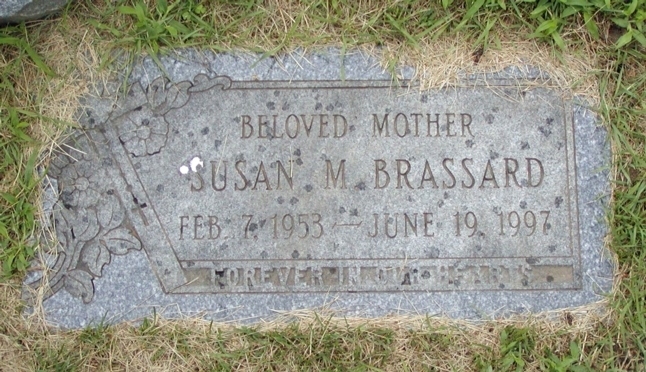 Her husband, Richard Brassard, died in 1995. She leaves two sons, Jason and Justin at home; her mother, Irene Langevin of East Longmeadow; and a sister, Eunice Pellegrini of Chicopee. (Excerpted from the Springfield-Union News newspaper, Springfield, MA). Susan's headstone in Saint Aloysius Cemetery, Springfield, MA. Stephen C. Pixley, 40, of Palm Springs, CA, and formerly of East Longmeadow, MA, died Tuesday, Jan. 10, 1995 in Desert Hospital, Palm Springs. He was a self-employed computer programmer-trainer in Palm Springs. Born in Springfield, he lived in East Longmeadow for 20 years before moving west. He was a graduate of East Longmeadow High School, and studied at Western New England College in Springfield. He leaves his parents, Harry C. and Beatrice M. (Rainville) Pixley of West Springfield; three brothers, Daniel C. of Belchertown, Edwin D. of Atlanta, GA, and Kenneth A. of East Longmeadow; a sister, Maxine Connor of East Longmeadow; and his maternal grandparents, Edmond and Catherine (Sherwin) Rainville of West Springfield. Memorial contributions may go to the Desert Hospital Hospice, PO Box 2739, Palm Springs, CA 92263-2739. (Excerpted from the Springfield Union-New newspapers, Springfield, MA). Stephen's headstone in Adams Cemetery, Wilbraham, MA. Lee D. Moffett, 39, of New York City, an architectural model maker, died in New York City on Friday, Aug. 27, 1993. 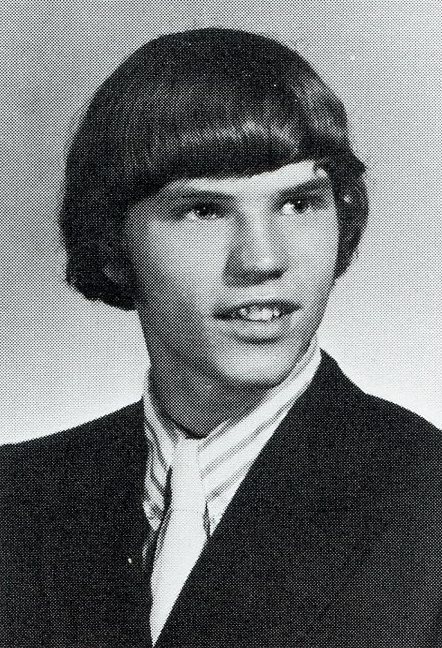 Born in Springfield, MA, he lived in East Longmeadow and was graduated from East Longmeadow High School in 1972. 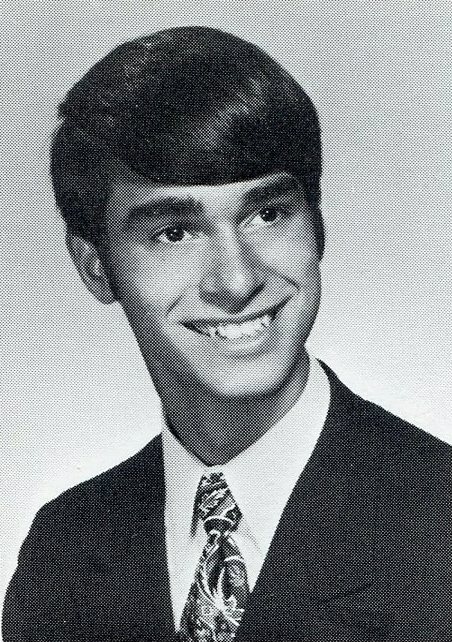 He was also graduated from the University of Massachusetts at Amherst in 1976. 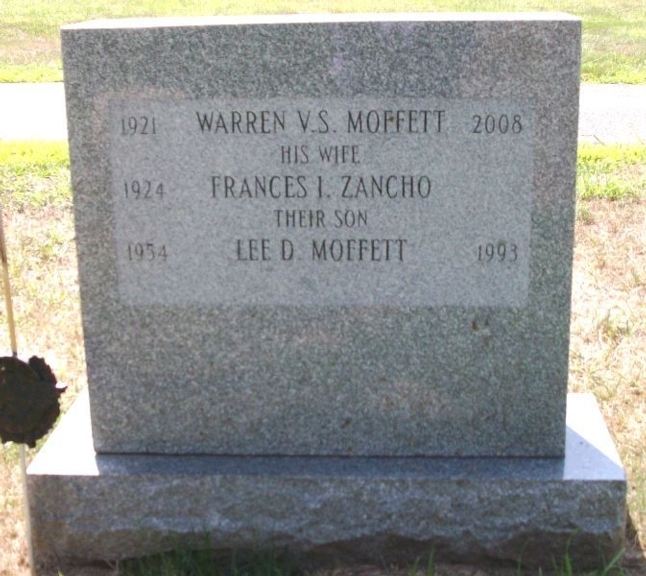 He leaves his parents, Warren and Frances (Zancho) Moffett of East Longmeadow, and a brother, Kenneth of Longmeadow. Memorial contributions may be made to the Visiting Nurse Service, 107 East 70th St., New York, NY 10021, or any other charity. Moffett family headstone, including Lee's inscription, in Baptist Village Cemetery, East Longmeadow, MA. John DeVall passed away on Thursday, Sep. 3, 1992. His last known residence was in Hyattsville, MD. Our only source of information on his passing is the Social Security Death Index. At this time, we have no further details regarding his life. 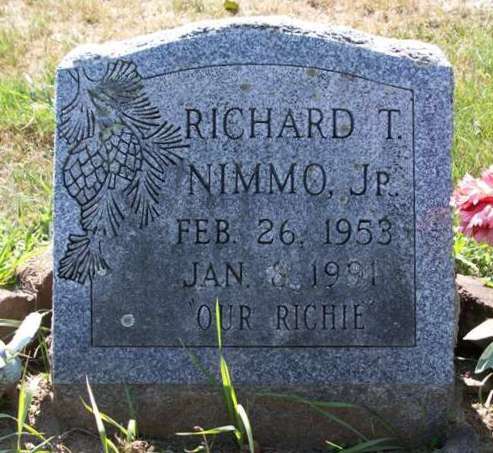 Richard Nimmo passed away on Tuesday, Jan. 8, 1991. Our only source of information on his passing is the Social Security Death Index. At this time, we have no further details regarding his life. Daniel during his freshman year. Daniel T. Goguen, 24, of Notre Dame, New Brunswick, Canada, formerly of Springfield, was killed instantly in a one car crash Saturday in St. Mary's, New Brunswick, Canada. Authories said that Goguen was one of two passengers in a car in which the driver apparently lost control on an icy highway and went into a ditch. Born in Springfield, Goguen lived in New Brunswick Province 11 years. He had attended East Longmeadow schools and was graduated from Moncton N.B. High School. He was employed as a mechanic for a Moncton imported car dealership. He leaves his parents, Amadee J. and Laurina (Deliefde) Goguen of Notre Dame; three brothers, Philias "Joseph" of Ludlow, and Eddie and Charles, both of Springfield; and two sisters, Henny LaChance of Holliston, N.B. and Jeannette of Notre Dame. Daniel's returns are interred in Notre-Dame Parish Cemetery, Notre-Dame, New Brunswick, Canada. 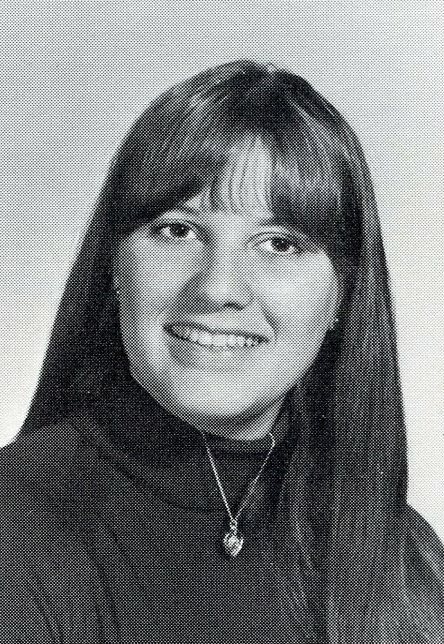 An 18 year old East Longmeadow woman was killed Sunday afternoon, Oct. 1, 1972 in a two car accident in Somers, CT.
Born in Springfield Feb. 18, 1954, the daughter of John and Beatrice (Markham) Thurner, she lived in East Longmeadow all her life. She was graduated from East Longmeadow High School and was a sales clerk at the Airport Boutique in Enfield Mall. She was a member of St. Paul Lutheran Church in East Longmeadow. Besides her parents, she leaves a brother, John Jr. of East Longmeadow; and a grandmother, Mrs. Catherine Thurner of Connecticut. Linda's remains are interred in Hillcrest Park Cemetery, Springfield, MA. 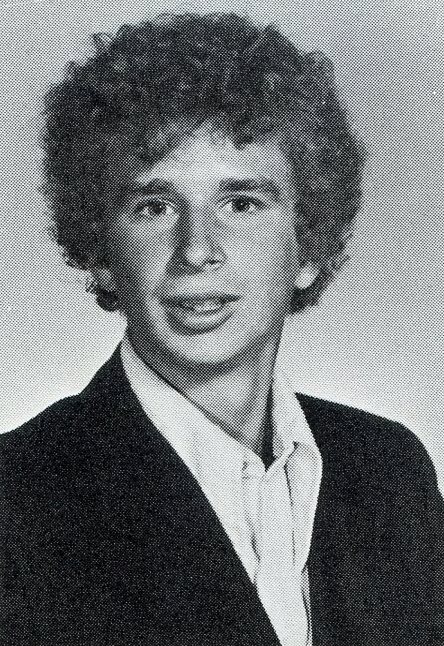 Gary during his junior year. Gary E. Halon passed away Saturday, May 8, 1971 from injuries in a car crash in Somers, CT which claimed the lives of four passengers. Pronounced dead at the scene were Joseph Stranch, 17, a senior at East Longmeadow High School, Gary Halon, 18, a junior at East Longmeadow High School; and James McCalligett, 17, of Somers, CT. A fourth passenger, Donald Thomas, 16, a junior at East Longmeadow High School, died at 7:05 p.m. Saturday. Connecticut state police said the car, driven by McCalligett, failed to negotiate a turn on Billings Rd. in Somers, ran off the left side, then recrossed the road and struck a tree shortly after 12:30 a.m. Donald Thomas was taken to Hartford Hospital where he died Saturday night of head and internal injuries. Gary is survived by his parents, Fred J. and Oliver (Tourville) Halon of 330 Prospect St. In lieu of flowers, contributions may be made to St. Anthony's Church, Springfield. (Excerpted from the Springfield Union newspaper, Springfield, MA, with additional notes). Gary's remains are interred in Saint Michael's Cemetery, Springfield, MA. Donald during his junior year. 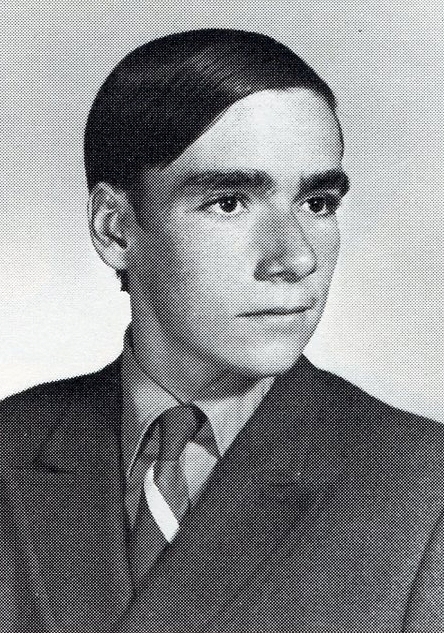 Donald Thomas passed away Saturday, May 8, 1971 from injuries in a car crash in Somers, CT which claimed the lives of four passengers. Pronounced dead at the scene were Joseph Stranch, 17, a senior at East Longmeadow High School; Gary Halon, 18, a junior at East Longmeadow High School; and James McCalligett, 17, of Somers, CT. A fourth passenger, Donald Thomas, 16, a junior at East Longmeadow High School, died at 7:05 p.m. Saturday. Born in Springfield May 25, 1954, Donald was an East Longmeadow resident all his life and was a member of the high school football team. He leaves his parents, Richard D. and Virginia (Marino) Thomas, of 76 Redin Dr., East Longmeadow, and a sister, Carol Ann at home. Donald's headstone in Saint Michael's Cemetery, Springfield, MA.